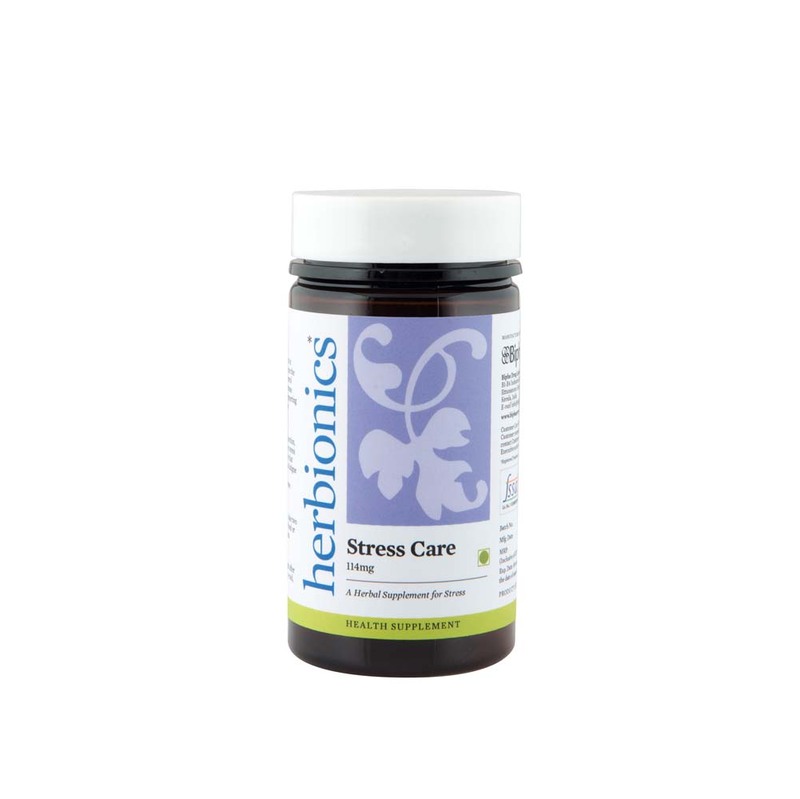 Stress care tablet improves brain function, concentration and relieves stress. The combined ingredients in this natural formula nurture the adrenal glands, which control the amount of stress hormone released into the body supporting energy, vitality and stress response. Supports adrenal function that helps to overcome adrenal fatigue and chronic stress..
Herbal blend,Winter Cherry(Root), Indian Pennywort(Whole plant),Black Pepper(Root),Cinnamon(Bark),Cardamom(Root),Amla(Root). As a dietary supplement, it is advised to take two tablets twice daily before food.